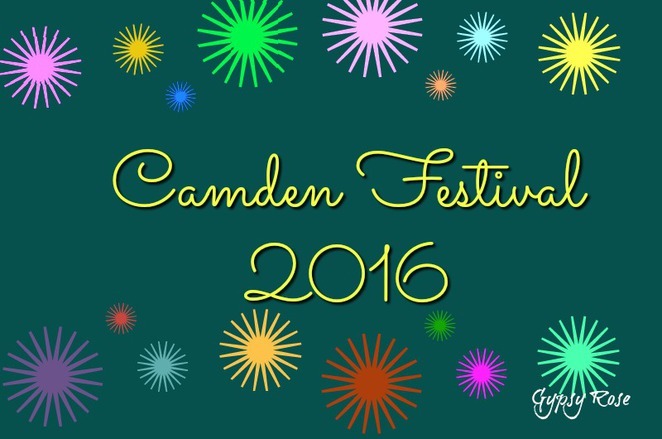 Camden will come alive with the Camden Festival that will enliven and transform the Camden region with a variety of activities and events. There is something for all interests and ages with a diverse program that is aimed to cater for all! This celebration will include a relaxed atmosphere to welcome spring with picnic in the park, a day of fun for the kids, cinema under the stars, skateboarding, relay, exhibition, food, wine and music festival, youth movie night, garden open weekend, Open days, and golf events. Details: Spring is in the air and this is the perfect event to celebrate it. The event will feature a picnic in the park with high tea, food stalls, jumping castle, face painting, entertainment including live acoustic music, petting zoo, floral crown making, pot plant painting and Camden Council will be handing out free native plants! Click here for website. Details: This is the perfect kid's entertainment where Curry Reserve will transform into a children's wonderland with a fun day of activities, entertainment, roving entertainment, face painting, character appearances by Batman and his Batmobile, clowns, animal farm, novelty stalls, amusements, free BBQ lunch and much more. Click here for website. Details: There will be craft activities, cultural displays and gourmet high tea to enjoy. Click here for website. Details: With the assistance of Skateology- Camden Council, this free skateboarding event will feature an opportunity for young people to have fun together while practising their skills with a professional skateboard teacher. This is a free event and will include helmets, skateboards and other protective equipment. Click here for website. Where: The Australian Botanic Garden Mount Annan, Mount Annan. Details: Grab a blanket and get comfy in front of the huge 12x7 movie screen. There will be two great family films: Zootopia (PG)- from 6:15pm & Alexander and the Terrible, Horrible, No Good, Very Bad Day (PG) from 8:15pm. There will be ice-cream, popcorn and coffee available for purchase. Click here for website. Details: Relay For Life is an overnight, community event where teams of 10-15 participate in a relay-style walk or run to raise funds for Cancer Council. Click here for website. Details: The 80 room Historic Camden Park House will be opened to the public to admire the 1834 home of colonial pioneers John and Elizabeth Macarthur. (It is opened only once a year) and this event will include open house and garden tours, gift & plant stalls, history talks, Devonshire tea and BBQ lunch. House & Garden Tours: Adults: $15pp, Concession: $12pp, Family : $40 and Garden Tours Only: $10pp. Click here for website. Details: This special event will feature a photographic exhibition of touching photos of ANZACs from WWI Lemnos between 1915-1917 and the ANZAC experience in WWII during the Battle of Crete 1941-1945. Click here for website. Details: This tasty and fun event will feature the finest food, fresh produce, jams, chutney & preserves, wine & beer, cooking demonstrations (1pm & 3pm), meet & greet (2:15pm), live entertainment, children's cooking workshops, jumping castle, face painting, live music and much more. Click here for website. When: 29 September 2016: From 7pm. Details: This event is suited for young people (12-25yrs), who live, work or study in the Camden Local Government Area, they can watch Miss Peregrine's Home for Peculiar Children for just $5pp. There will also be a popcorn and drink combo available for $5. Click here for website and for ticket purchasing click here. Details: Camden Golf Club will be hosting this qualifying event for the NSW Open Golf Championships. This fun and exciting event is one to see as the public are welcome to come. First tee off is at 2pm. Click here for website. Be sure to scribble in the dates and have fun with this list of events that will be happening throughout the Camden Festival! Cost: Free, ticketed & fundraising events.